my name is Stefani, and my story is not much different than anyone else’s. I came to this earth one late September day, the time of the year when it is neither summer nor winter. I was born in tears and laughter, and that’s how I grew up. I started traveling since I was very young. To be more exact, before I was even born! And for that, I have my mother’s job to blame! But I grow up to love traveling. I traveled north and south, west and east. When I turned 19, I decided to continue my studies abroad, and I moved to the south of France. Three years later I ended up in the center of Europe, in Prague, finishing my journalism degree. I can say that I had fallen in love with writing from a very young age, though I cannot remember when exactly that happened. Whether it was when I read the first word, the first sentence or when I held a pen for the first time. In the kitchen, I felt content and at peace as if the whole world has stopped. Just like writing or painting, cooking is an art too. It is creating something out of all those different ingredients with their specific tastes and smells and colors. Welcome everyone! 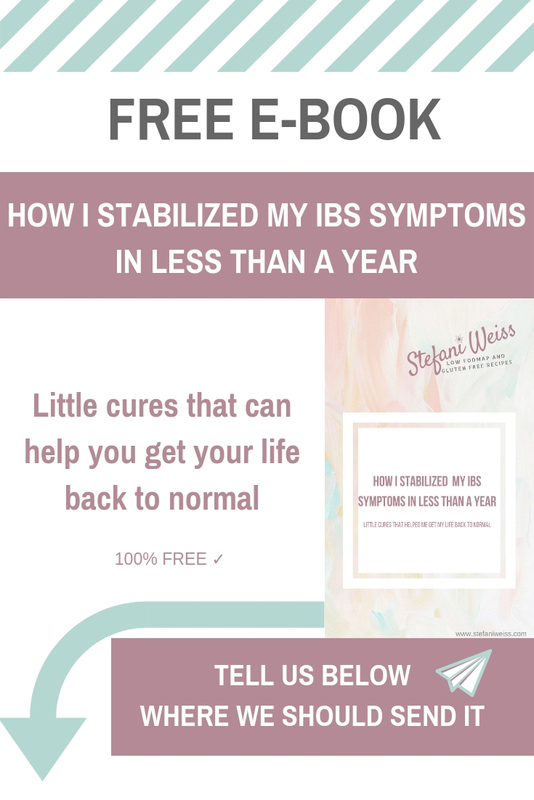 Here you will find healthy and simple Low Fodmap and Gluten Free recipes, and useful tips for living with IBS and food intolerances.